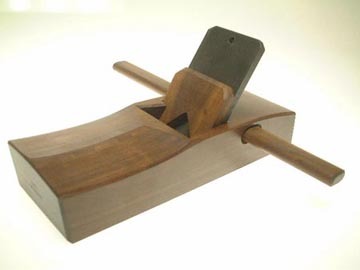 “Campaign Furniture” seeks to restore this style to its proper place by introducing woodworkers to the simple lines, robust joinery and ingenious hardware that characterize campaign pieces. With more than 400 photos and drawings to explain the foundations of the style, the book provides plans for nine piece of classic campaign furniture, from the classic stackable chests of drawers to folding Roorkee chairs and collapsible bookcases. In addition to all that, “Campaign Furniture” contains the first English-language translation of A.J.-Roubo’s 18th-century text on campaign pieces, plus original drawings of dozens of pieces of British campaign furniture culled from original copies of the Army & Navy stores catalogs. 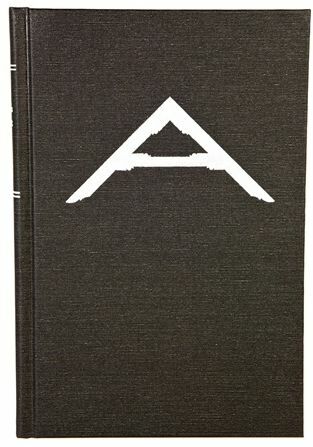 Like all Lost Art Press books, “Campaign Furniture” is produced entirely in the United States. The book is in a 6” x 9” format and hardbound. The interior is full color and printed on paper that is heavy and coated with a matte finish for readability. The interior signatures are sewn for long-term durability. 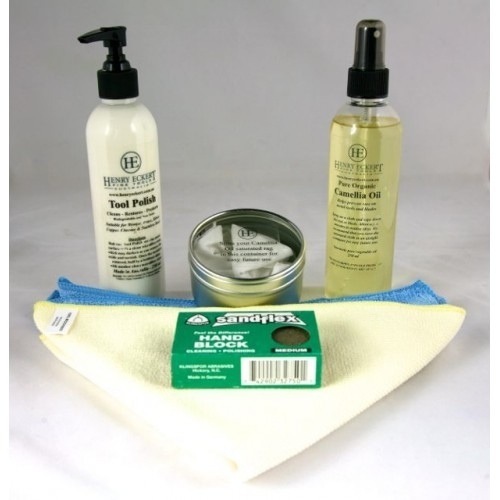 The other is a tool care package with Camellia Oil, Tool Polish, and cloths etc to apply, and containers to store. While Silbergleit (Silver Glide) is great on cast iron tools, I hear Camellia oil is also exceptional, penetrating the surface microfissures to really protect against rust/corrosion. Like “new car smell”, fresh “cast iron gleam” is both very impressive, and equally fleeting (if not a lot faster! ), and although Silbergleit protects and lubricates, it is Camellia oil that places like Carbatec turn to, to keep the shop floor tools in new (and cast-iron fresh) condition. It has taken some time since I first became aware of this book (through updates during it’s production given by Chris Schwarz on the Lost Art Press blog) for me to finally get around to purchasing a copy. 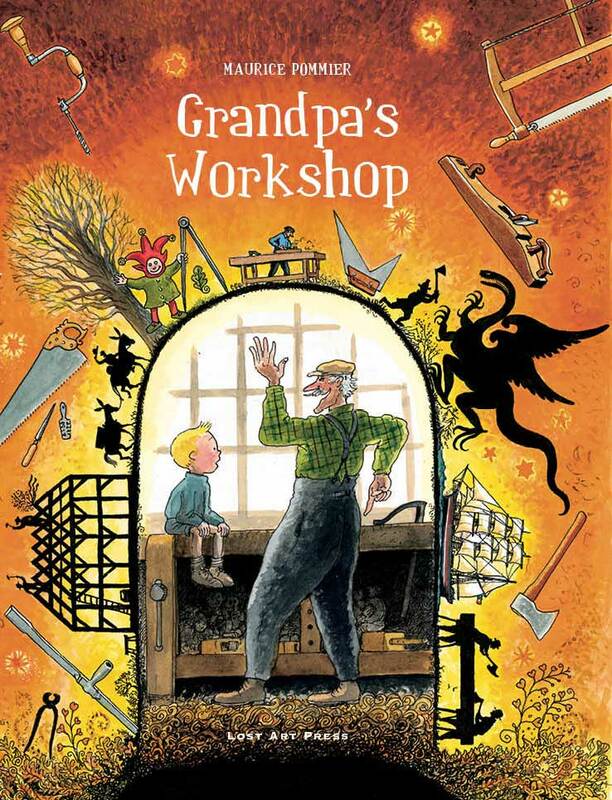 At last weekend’s Hand Tool event, I asked at the Henry Eckert stand if they had bought “Grandpa’s Workshop” along with the other Lost Art Press books and DVDs they had (and stock). Unfortunately they hadn’t, but as soon as they got back after the event, it was on its way and sitting at my front door yesterday. 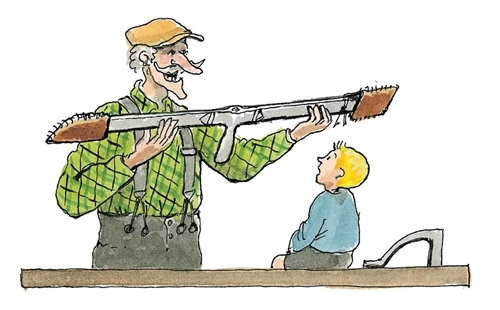 It is a children’s story, but real-life experiences of the author is apparent in the text as well, the sights, sounds and emotions of being in and around the workshop of a grandfather or similar figure. Some of the stories told by the Grandfather are pure fantasy, others very much about the stories the tools would tell of their own history, and stories of the history of the boy’s family and ancestors. As I read the book to my daughter, I hold a hope that one day she will find herself brushing sawdust from her clothes, and remember her father, and grandfather did the same and to continue to pass on a love to being able to physically create through wielding simple tools and working with natural materials. The illustrations create a very rich experience, obviously meaning a lot more to me than my young charge, but even so, being able to show that I too have tools very similar in shape and function to those depicted in the stories must add a dimension to the stories. My tools may not have the same history as Pepere’s, but hopefully they will be passed down through the ages so that one day, they too will have many stories to tell. This may be a children’s story, but it is very much one that so many of us can intimately relate to, and if you are fortunate to have children or grandchildren that you can share this story with, your experience of the book would be so much richer. But even if not, this children’s story is one we can all read, appreciate and enjoy. Is it just me, but does the boy look like a young Tintin? Chris Schwarz is down under this month, and although I wasn’t in a position to go on one of the courses on offer, there are a lucky few that are. 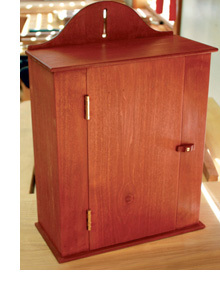 There is still the Shaker Wall Cabinet course with a few vacancies if anyone is interested. 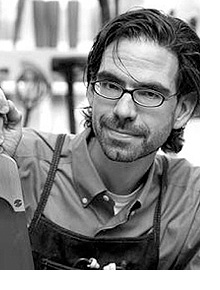 There is also a Melbourne Hand Tool Event at the Melbourne Guild of Fine Woodworking, which will have Chris in attendance. Unfortunately we don’t know when that is actually on – they forgot to put the dates in their newsletter, and their website hasn’t been updated since 2011! If I hear a current date, will let you know (check the comments). Chris is also hosting a seminar at Eley Community Centre on the 28th March, 6-9pm. Not sure if there is a cost involved. While walking past the Lie Nielsen stand at the show, half buried under another book, a nondescript cover and logo caught my eye. 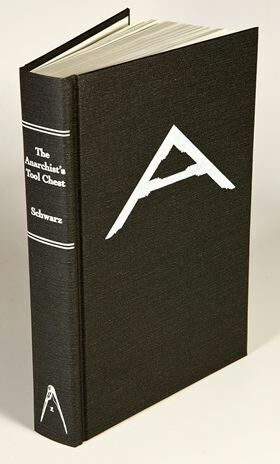 The book was the Anarchist’s Tool Chest, by Chris Schwarz. To be honest, I doubt even 2 seconds passed before I had decided to buy it. I know it is out in a number of formats (electronic), but I don’t think the real essence of the book can be conveyed in any other format than a physical, hardcover tome. 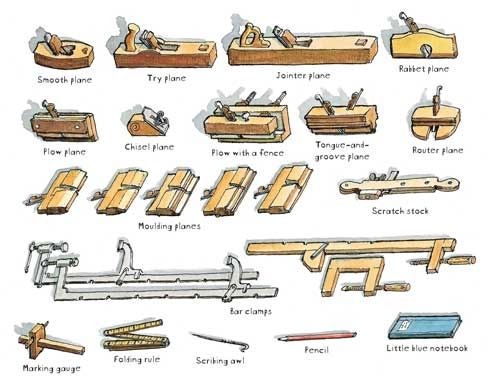 It is part journey, part instruction manual, part woodworking philosophy. I expect to be challenged by the book to consider my workshop, to reassess tools that I have (not necessarily to part with them), and to develop a desire to construct an Anarchist’s tool chest of my own. 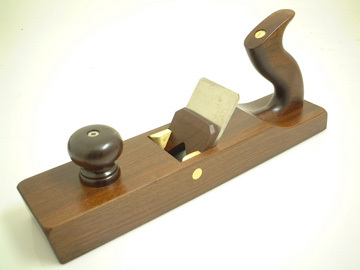 Sick of sawing back and forth like crazy when cutting dovetails (or other short cuts)? 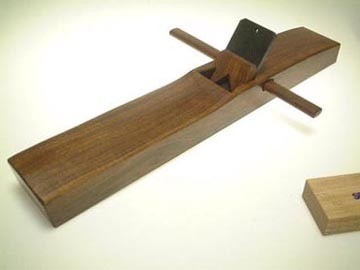 Check out this video of a Lie Nielsen “One Stroke” dovetail saw. No doubt it was an April Fools joke, still funny as! 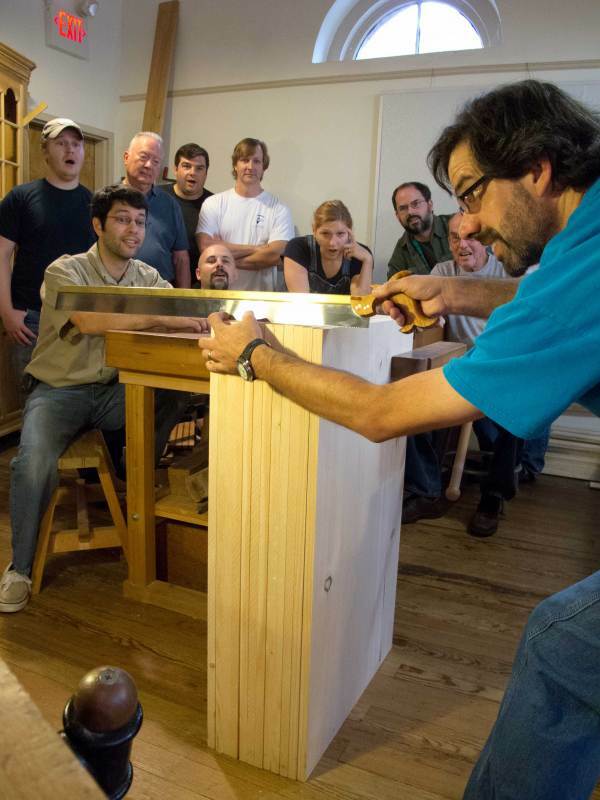 Chris Schwarz has found another use for it – gang-cutting dovetails. This is a book I’ve been wanting to get my hands on for a while, and in the end I had to give up on Lost Art Press returning my correspondence (I was trying to buy a deluxe edition), and instead settled for the non-deluxe version from Booktopia (which is still hardback, and has everything except the accompanying CD). Chris Schwarz is the editor of Popular Woodworking and Woodworking Magazine, and this is his first book, and it certainly sets the standard for his future publications! Detailed with a collection of well shot black & white photos with titles such as “Benches are Boring” (for one where a drill is being used), “Walk the Dog” (not what you’d think, or even the second thing…) and “Look Ma, no Tenon Saw”, they are specifically descriptive while maintaining an informality or almost irreverence which is particularly appealing. The book covers a wide variety of design choices, and their historical roots and for that alone it is a fascinating read, but what it delivers in spades is inspiration, and having a tomb that approaches each aspect of workbench design so you can come up with you own ultimate design, either sticking with one of the traditional designs, or stealing concepts from all over. This is not a “how to” though – don’t get it expecting dimensions, purchasing lists, and a set of build instructions. (Perhaps that is on the absent CD). 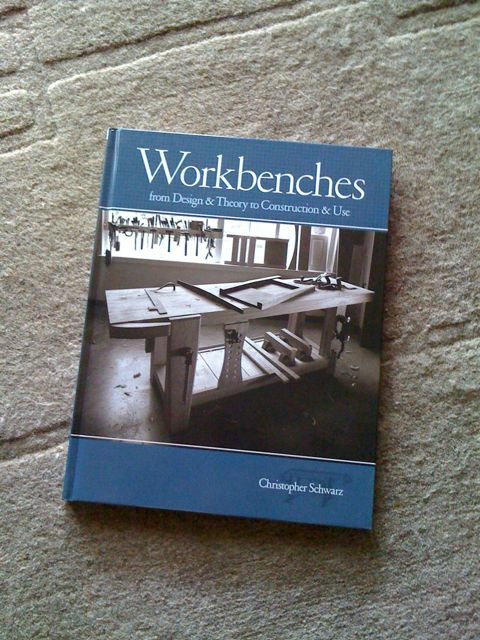 This is a study of the principles of workbench design and construction. If anyone gets to talk to Chris, I’d be happy to pay the difference in price between the standard and deluxe versions of the book for a legitimate copy – I certainly didn’t choose the non-deluxe version by choice. Back to the book – I haven’t begun absorbing all the content of it – and instead have been enjoying dipping in and out, reading across the range of topics, and starting to imagine the bench that is still currently shrouded in a slowly clearing mist.